Twitch on Monday announced the first mobile title to feature built-in support for the video streaming platform. 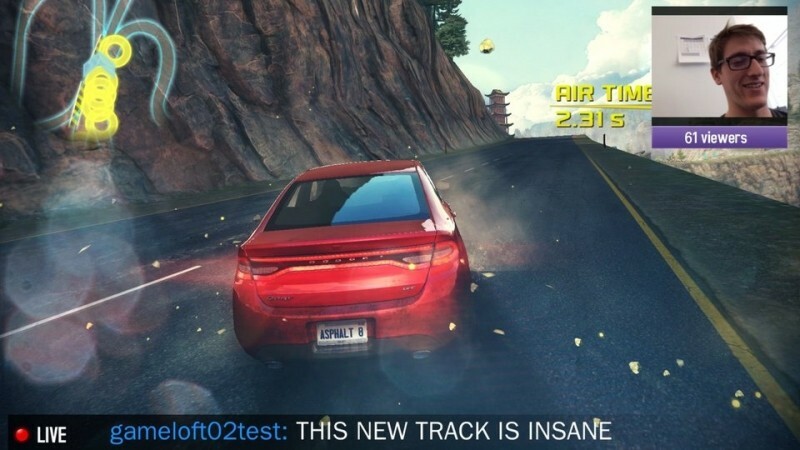 Asphalt 8: Airborne for iOS will allow gamers to streaming their live sessions to others around the world and even stream their voice and image using the mobile device’s microphone and front-facing camera. The announcement came during the first day of the annual Game Developers Conference. To kick off the festivities, Gameloft (the game’s developer) will be hosting a 24-hour live stream via their Twitch channel to demonstrate all of the new features that gamers can expect. Baudouin Corman, vice president of publishing with Twitch, said the game was the perfect candidate to integrate with the Twitch mobile SDK and they can’t wait to see the excitement it brings to users. Asphalt 8 raced onto the scene last August and has enjoyed critical and commercial success ever since. Granted, it’s not the overnight sensation that was Flappy Bird or Angry Birds, but it’s been able to hold its own for nearly a year now. Twitch live streaming will be added to Asphalt 8 in the next update which will also deliver other extras like new cars and events. No word yet on exactly when the update will hit the App Store but it’ll be sometime “soon.” Twitch has yet to reveal whether or not live streaming would be added to the Android, Blackberry or Windows Phone version of the game.